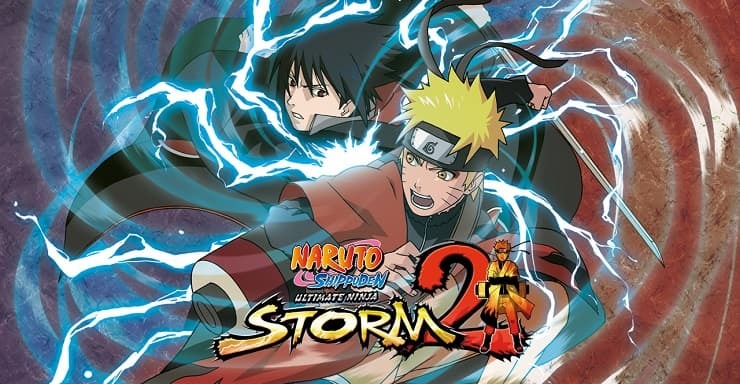 Naruto Shippuden: Ultimate Ninja Storm 2, known in Japan as Naruto Shippuden: Narutimate Storm 2 is the second installment of the Ultimate Ninja Storm series, is the sequel to Naruto: Ultimate Ninja Storm developed by CyberConnect2 and published by Namco Bandai Games. It is based on the popular anime and manga series Naruto by Masashi Kishimoto, and it was released during 2010 on the PlayStation 3 and Xbox 360. It is also the very first Naruto game to be a multiplatform title. A sequel, called Naruto Shippuden: Ultimate Ninja Storm 3, was released in 2013. The game’s adventure mode covers the original manga’s chapter 245 to 450. Chapter 245, in addition to spearheading the start of a new story arc, also marks the beginning of the so-called “Part II” myth arc, adapted on television as Naruto: Shippuden. The main story that focuses on Naruto Uzumaki is told through 8 chapters, including a prologue section. Clearing them all unlocks an additional “fragment” chapter detailing Taka’s failed capture of Killer Bee, based on several nonconsecutive manga chapters from 404 to 417. Wikipedia®. Trainer for the game Naruto Shippuden: Ultimate Ninja Storm 2, you can use it to activate these essential Cheat Codes: Infinite Health, Infinite Ryo, Max Hero Experiences, Max legend Experience, Super Speed, Super Jump, Infinite Health, Infinite Chakra, Max Chakra Capactiy, Infinite Items. Note: This cheat tool is for the original version v1.0 of the game Naruto Shippuden: Ultimate Ninja Storm 2.